In 1930, with the world sliding into the Great Depression, there were some on the front line of this desperate historical low who took matters into their own hands and sought to make the most of their lives despite the odds being stacked against them. One extraordinary example of this was the ‘Spennymoor Settlement’. It all began with a charitable organistion called the Pilgrim Trust, which was founded by American philanthropist, Edward Harkness. He had a great fondness for the country of his ancestors and in recognition of Great Britain’s sacrifice during the First World War he gave us £2million to spend on worthy causes. A small amount of this found its way to Bill & Betty Farrell, who, in 1931, founded a local arts community at a disused shop on King Street, Spennymoor, to encourage tolerant neighbourliness and voluntary social services and give its members opportunities for increasing their knowledge, widening their interests, and cultivating their creative powers in a friendly atmosphere. It was known as the Spennymoor Settlement – or more commonly as the Pitman’s Academy – and was a runaway success. At the time, though, both the present and the future were grim. Unemployment was rife and poverty spreading like wildfire. The Farrells, however, together with deputy Jack Maddison, provided a means by which the locals could fight back. At a time when central government provided little support to the impoverished, the organisation showed the town’s residents how to broaden their horizons and make the very best of a poor hand. It was all about self-improvement. Education – in all areas, not just the arts – as well as practical lessons such as shoe-repairing and needlework, ran alongside innovative schemes such as pre-school playgroups, a citizens’ advice bureau and a volunteer-run library. The biggest success, though, was arguably the Everyman Theatre, built in 1939 by unemployed miners, which encouraged appreciation – and, indeed, critical thinking – of the arts. The theatre, having been renovated a few years ago, still operates today, and the building is considered so important a part of our social history that it is Grade II Listed. A great many men and women of artistic note have the Spennymoor Settlement to thank for their renown. Heard of writer Sid Chaplin? Or of artists Norman Cornish and Tom McGuinness? Both these, and many more besides, have the old Pitman’s Academy of Spennymoor to thank for their deserved success. One of the North-East’s greatest sporting heroes is also one of its least known: John Richard “Jack” Greenwell, who was born at Billy Row, Crook, in January 1884. Like many of his generation, he was a notable North-Eastern footballer and manager; but, unlike pretty much every other sportsman of his ilk, he made his name overseas – and big style, too. 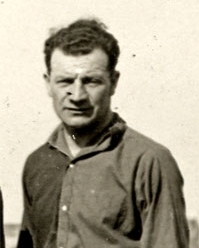 Though Greenwell’s managerial achievements would heavily outweigh those of his playing career, he did take part in one extraordinary episode as a jobbing midfielder. Whilst he turned out almost exclusively for his home town team, Crook, during 1901-12, he also guested for the West Auckland squad that won the Sir Thomas Lipton Trophy in Turin in 1909 – a tournament often referred to as the ‘first World Cup’, and quite a story in its own right. Then, in 1912, he left these shores and began a short playing career for the then part-time FC Barcelona – making 88 appearances over four seasons. In 1913, he arranged a three-match series between his new and former team-mates – one can barely imagine such a thing now! He made such an impression on the pitch that he was then (in 1917) appointed the club’s first full-time manager by president, Joan Gamper. He remained in the post for more than six years – the second longest run in Barcelona’s history – and won seven major trophies. Leaving Barcelona in 1923, he went on to manage several other Spanish clubs, with a good deal of success – and even returned to Barcelona for a second spell in charge during 1931-33, taking his tally to 492 matches in charge of the club. Civil unrest caused him and his family – a wife and daughter – to spend much time apart during the mid-late 1930s. The Spanish Civil War eventually caused him to flee, first, to Turkey, then to Peru – where his family joined him, themselves leaving Britain on the last passenger ship out of the UK prior to the outbreak of World War II. He was appointed manager of Universitario de Deportes, won the national championship, and was then put in charge of the Peruvian national team. Astonishingly, he led them to their first ever South American Championship in 1939 (aided by the withdrawal from the tournament of several top teams) – the only non-South American coach to win this competition, and, of course, the first Englishman to manage a national team to win an international tournament. In 1940 he moved into Columbian football, where early promise was cut short by a fatal heart attack (some sources say a brain haemorrhage) in 1942 in Bogotá. 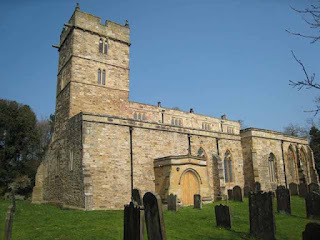 When fire swept through the medieval church of St. Brandon’s, Brancepeth, in September 1998, the locals – and, in fact, everyone of a historical bent in the North-East – couldn’t imagine that anything good could ever come out of the tragedy. A smouldering shell was all that was left of the building – no roof, no windows, no internal fixtures or fittings and, importantly, not a trace of the famed 17th century Cosin woodwork. It all seemed like a very, very bad result indeed. It took more than 15 years to complete a £3 million renovation of the building – and a beautiful one it is, too – but it turns out that the fiery intervention actually had, unbelievably, a really rather impressive silver lining: the discovery of a large horde of rare medieval tombstones hidden in the heights of the structure. More than 100 of these curious artefacts were found – essentially large stone grave covers – all of them engraved with crosses, swords and other emblems, and dating from the 12th and 13th centuries. They are known as ‘cross slabs’ because of the preponderance of large cross-like images to be found on the pieces; but many of the etchings remain a mystery, and have been collectively termed the ‘Brancepeth Code’. Furthermore, it is the largest collection of its kind in the north of England. It seems that the slabs were placed up in the heights of the church by Bishop Cosin in the 17th century – possibly to keep them hidden from puritan reformers (they were found facing upwards), or maybe for purely structural purposes. A selection of the best examples are on display in the refurbished church and more can be found on view at Brancepeth Castle – whilst the rest have been retained in the structure of the church. Note: Unfortunately, there don’t seem to be any decent images of the Brancepeth cross slabs online, though a general search of the subject matter will give you a good idea of the look of the items. Born in Brandon, Co.Durham, in 1788, Thomas Tredgold was to become an unlikely hero of American history. Though he spent his early years as an apprentice cabinet-maker, by his death in 1829 he had established himself as a leading thinker and exponent in the field of civil engineering; and, thanks to his writings, his ideas and principles influenced many like-minded individuals for decades after his demise. Most notably, his theories held great sway in the early days of railroad construction across North America – which in itself is quite a legacy. His road to the top was somewhat circuitous. He went from his apprenticeship days to journeyman carpenter in Scotland. Eventually, he found himself working in London for his uncle, William Atkinson the architect, during which time he studied architecture (of course), mathematics and engineering – much of it in his spare time. But from around 1820 he began writing in earnest – and on the topics he knew and loved so well: the principles of carpentry, the properties of materials and, essentially, the science of building. From 1823, Tredgold became a full-time writer; and during 1825-27 came three important works on the mechanics of that brand new mode of transport: the railways. 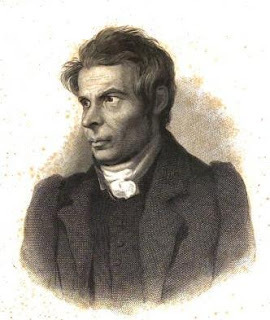 His final book, The Steam Engine published two years before his death in 1827, was perhaps his most famous, and was reprinted several times in the ensuing decades. Both this and his Practical Treatise on Railroads & Carriages (1825), were pounced upon by American railroad developers of the era as North American pioneers swept into the open spaces of the New World. Many of his recommendations were adopted on an industrial scale, propelling the Brandon boy to an unlikely form of celebrity. Tredgold’s definition of civil engineering contained the memorable phrase “[civil engineering is] the art of directing the great sources of power in Nature for the use and convenience of man…”. Needless to say, he was an early member of the Institution of Civil Engineers, and was its president for a time. Tragically, he died in London in 1829 aged only 40. It was said that his early demise was due to his general ill health following his years of dedicated study, during which he denied himself proper rest and sleep.